A contemporary house must have all it requires to look modern. This objective can be achieved by finishing and furnishing its rooms in the right manner. The kitchen, which is the most accessed room for the whole family should look attractive and have durable counters. To annex on this, washrooms, sinks in whichever room and business areas like the restaurants, outdoor entertainment areas, and clubs also require to have countertops. One of the most common types of countertops that are installed in both residential and commercial places are the concrete countertops. The main reason is that of the characteristics that come with this type of material. You may be wondering what the concrete countertop is made of. This is a surface of concrete used in lieu of tiles, marble or granite. It only takes a few weeks to come up with this fantastic-looking surface. No wonder you will find it in most homes and businesses. You can make it at the expert site or at the construction site for it is not as heavy as other materials such as manufactured quartz. At the expert site, you will be expected to have a cabinet which has the base to hold the concrete when it is spread in. You will have to make a form of melamine materials to avoid concrete sticking on it for it may cause poor amorphous work. Prepare the mixture of concrete with the right ratio and pour it in the form spreading it fairly. To eliminate air bubbles that could spoil the surface when it is dried up, you are supposed to tab the form gently with a plastic hammer while the concrete is still wet. Use thin wires to hang an array of concrete reinforcement wire in the center of the form. This is the procedure that concrete countertop contractors use to make sure that they deliver high-quality products your way. Allow it to dry up in nine to fourteen days before you remove the form. Then you can polish the surface as you sand the sharp edges. Make it have a finished look afterward by applying a concrete sealer and stain. This will make sure that your concrete countertops have a gorgeous look. Concrete countertops come with several benefits to homeowners. First, it is possible to add any embellishment you want as compared to other solid surfaces which can’t adhere to any modification. Therefore, you can easily style the concrete countertops to match with the overall theme of your home. The surface is stain resistant and requires minimal maintenance. The implication is that you will not be spending a lot of money on the maintenance of your concrete countertops. Concrete countertops also exhibit heat resistance to a higher degree due to the application of the sealer. Therefore, you can comfortably use them in your kitchen without having to worry about the effect of heat. You will even place your hot pot on the countertop and it will not harm it. The contractors and homeowners can enhance the concrete to become any shape and color through the use of dyes, stains, and coatings. Therefore, you will not be limited to a few countertop designs on the market. This high level of flexibility is what most consumers are looking for. Most people are now turning from granite and marble countertops in favor of concrete materials which is giving them what they want in terms of color, size, their own proposed shape, and its organic appearance. Concrete countertops have no grout lines like is the case with tiles therefore cleaning is easier as long as it is expertly sealed. Given all these benefits, why not try concrete countertops now. There is no product that does not lack its dark side on the market. However, the advantages of concrete countertops outweigh its drawbacks by far. First, concrete is permeable in nature and this may compel you to apply seals regularly to make it look like the natural stone. You can also use lighter colors to display a flaw. Secondly, kitchen rooms have sharp objects like knives being used on the concrete surface which can cut on it or heavy rough objects that cause a scratch. I recommend the use of cutting boards and avoid sliding heavy rough wares on the surface. These are things you can manage by taking good care of your concrete countertops. 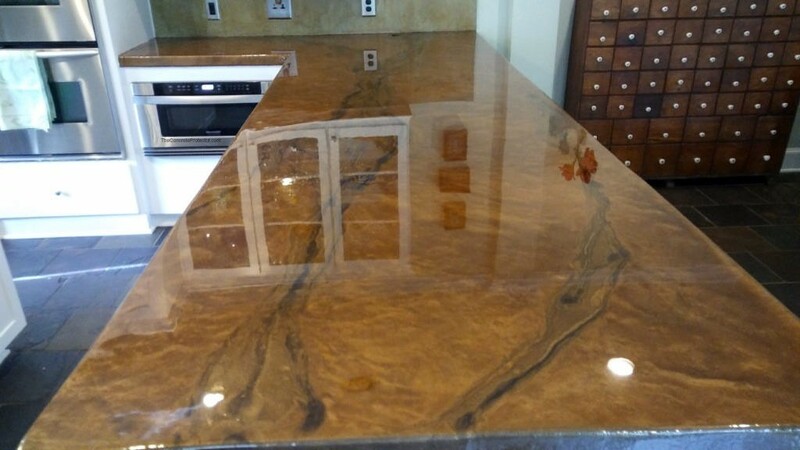 Due to the procedures in manufacturing, countertops have longer lead time which can go up to four weeks. Concrete countertops are pocket-friendly and worthy its price tag so long as you know what you want. The cost can range from seventy to one hundred and thirty dollars per square foot but this also depends on your location. The price can also vary according to the desired fabrication by the client. If the client needs its thickness to increase, it will require more materials to make therefore the price goes up. Normally the minimum thickness is about 1.5 inches. Make a house look well by executing the use of concrete countertop. You can compare the quality that various contractors deliver and the amount they charge. The guiding principle in such a case should be getting value for your money. leading concrete countertop contractors like http://www.customconcreteorlando.com will always deliver high-quality services at the most competitive rates in the market. If you are not careful, cheap can be very expensive in the long run.